Before land was used in Schaumburg, it simply was. This area of northeastern Illinois was a mosiac of tallgrass prairie, extensive wetlands, and oak woodlands — a landscape reflected in the earliest name for the settlement, Sarah’s Grove. Native American residents used the land as home and resource, to be sure; but they did not alter it on the scale that would occur in the 19th century with the arrival of European-Americans, who cleared timber, drained wetlands, and plowed the fertile prairie soil in order to plant crops. Throughout the 19th century and over half the 20th, Schaumburg was a small farming community in far northwestern Cook County, and the great majority of its land was under cultivation. It was, in that sense, typical of how land was used throughout the state of Illinois, which had become primarily agricultural in character by the late 19th century. Starting in the post-World War Two period, though, the Village of Schaumburg experienced incredibly rapid growth thanks to the completion of the Northwest Tollway and the opening of O’Hare Airport to commercial flights in 1955. At the time of its incorporation on March 7, 1956, Schaumburg was a mere 2 square miles with a population of 130 residents centered on the intersection of Roselle and Schaumburg Roads. By incorporating, the village officials were able to control its growth and development. Early village leaders are credited with the foresight and planning that has made later economic growth possible. 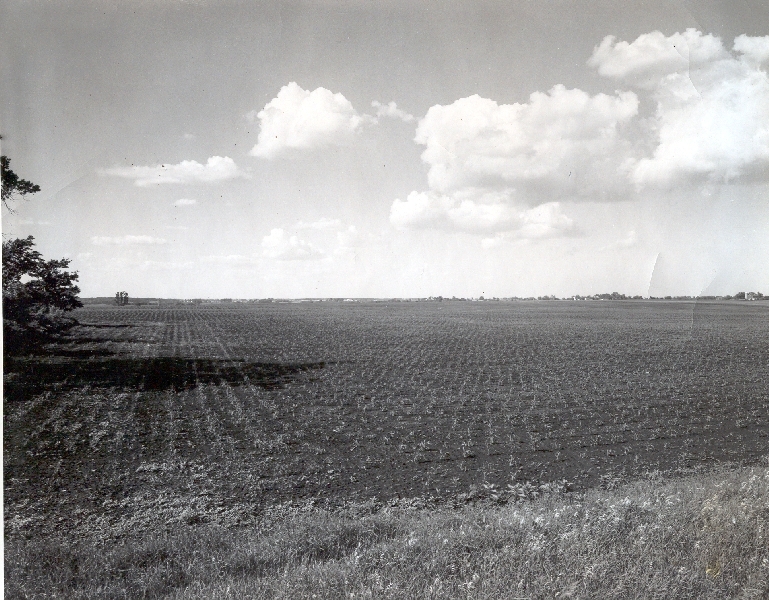 The original comprehensive plan, adopted by the Village Board in 1961, reserved large tracts of agricultural land for industrial, commercial, and office development. The plan also accounted for expanses of open space along major floodways, and flood plains were designed to be preserved as parks and public open spaces (Village of Schaumburg, 2008). The subsequent changes in land use in Schaumburg were dramatic and rapid. According to the Village’s 2008 Comprehensive Green Action Plan, Schaumburg grew at an incredible pace and by 1970 the population had jumped to 18,730. The development and construction of Woodfield Mall in the early 1970s provided a stark contrast to the surrounding farmland. By 1980 the population had spiked to 53,305 and the village had expanded to 18.3 square miles. The village currently has 75,936 residents and covers 19 square miles. Of that area, about 20% consists of parks and open space and a number of plans have been put into place to ensure these areas promote biodiversity and are restored with native species. 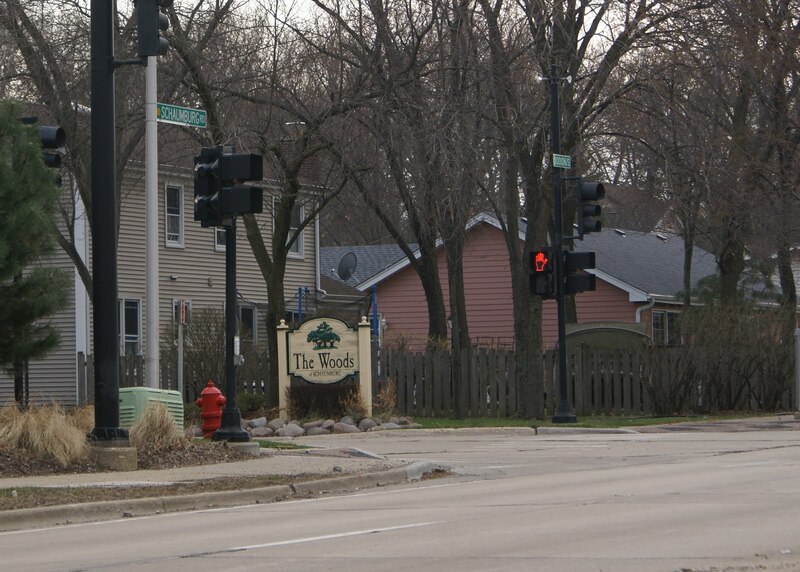 Schaumburg’s village planners and developers have always tried to live by and respect the village motto, “Progress through Thoughtful Planning.” When it comes to land use, however, the motto itself raises key questions: what sort of planning? and what exactly constitutes “progress”? The answers to these questions are complicated, and only can be addressed partially here in this essay. But one trend that emerges is that mid-to-late 20th century planning efforts mostly proceeded under the assumption that progress equals development — the conversion of agricultural land to residential, commercial, and industrial use; and the stimulation of economic activity and opportunity. In the early 21st century, with very little open land left within the Village boundaries to develop, the explicit focus of planning has shifted substantially to the notion of sustainability — here, progress is defined by maintaining economic vitality while better conserving natural resources and preserving the remaining open space in the Village. The future of land use in Schaumburg, then, will be defined by how thoroughly the Village embraces the goals of sustainability in its land use practices and policies. Banner photo credit: Parking lot at Roosevelt University’s Schaumburg Campus, summer 2010. Twenty year ago the campus facility was a corporate headquarters. 60 years ago it was farmland, like much of Schaumburg Township in the mid-20th century (M. Bryson).